for $324,900 with 4 bedrooms and 2 full baths. This 1,877 square foot home was built in 1997 on a lot size of 8621.00 Sqft. 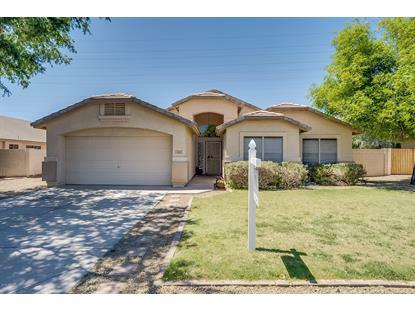 Exceptional and well maintained single level 4 bedroom, 2 bathroom Gilbert Home. 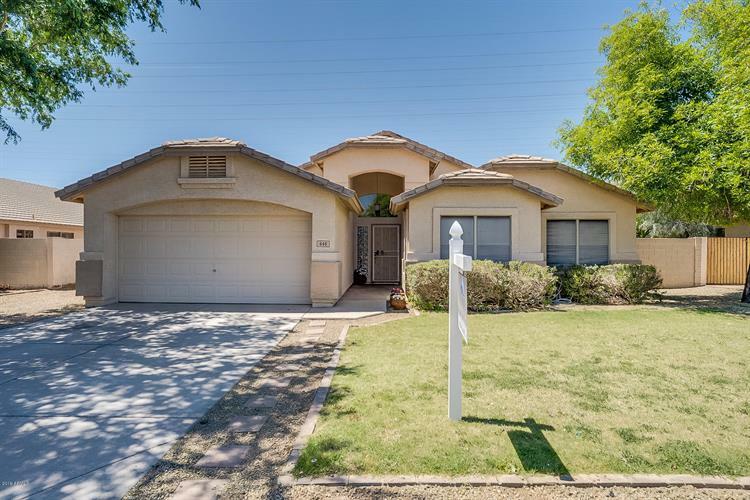 This home has many upgrades throughout including vaulted ceilings, custom painting, upgraded flooring including neutral carpeting and wood style tile flooring in high traffic areas. Separate living room, family rooms and dining area offer plenty of living space. Beautifully upgraded kitchen features granite counter tops, tile back splash, double oven, stove top microwave, dishwasher and cook top stove. Bathrooms also feature granite vanity tops and double sinks. Backyard covered patio and grass in front and back yards. Storage shed in back and RV Gate to accompany the 2.5 car garage.